In the architecture of a highly visible eCommerce platform we covered how to find and incorporate high potential keywords in your website. The definitive SEO checklist for successful eCommerce websites explains all the boxes you need to tick from a technical point of view. If you’ve taken these articles to heart, you’re well on your way to a highly visible eCommerce website. The last pillar of SEO we need to talk about is how to do link building for eCommerce websites. Links play a vital role in SEO. The general consensus is they contribute for more 50% to your SEO success. In the article about your eCommerce website’s architecture we’ve covered the role of internal links. Internal links are links within a website. When we’re talking about link building we mean links from other websites, also called external links. Within SEO, most eCommerce websites struggle the most with linkbuilding because it’s something they can’t fully control. However, link building doesn’t have to be that difficult. Like all aspects of SEO is requires a good strategy and hard work. After reading this article you’ll know how to approach link building for your eCommerce website. We’ll leave you with some interesting link building angles that work in almost any niche. Link building is the process of getting other websites to link to yours. All links are counted as votes for your websites, passing on authority, relevancy and trust. Domain Authority: takes into account all links to the domain. Page Authority: only takes links to the page in question into account. Link Authority: is about the authority a link passes on from page A to page B. The higher the authority the better. For instance, receiving a link from a website like CNN.com be every SEOs dream. A relevant link is a link to a page from a topically related page. 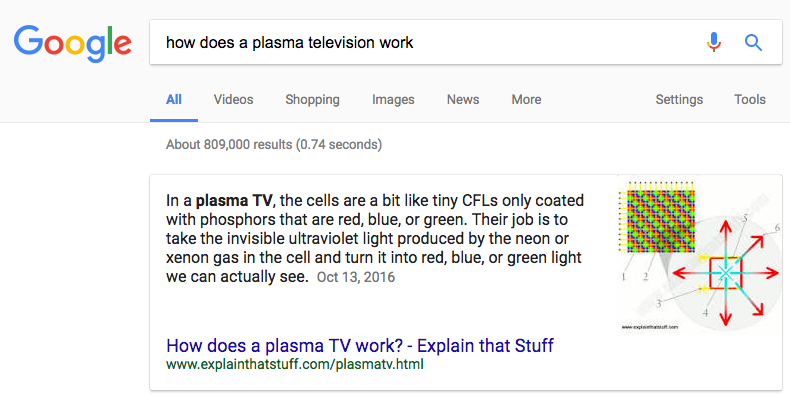 If you’re selling televisions, it’s great if you get a link from a blog post about the best televisions to watch Netflix on. Subsequently, the relevancy of links influence to the topic relevancy of your website. Trust is the degree to which search engines trust your domain. The higher the better. Trust is earned through age, sticking to Google’s guidelines and by getting links from trustworthy websites. A good example of a trustworthy website is a newspaper. Keep building trustworthy links in an ethical way and you aim to service your visitors well. Trust will follow naturally. Links pass on authority, relevancy and trust. What else should you be on the lookout for? When we’re talking about link origin we mean the page a link is placed on. Say you’re linking from your homepage to your ‘About us’ page, the link origin is the homepage. The link target is the ‘About us’ page. Ideally, the link origin and link target share the same topic. Having links to the homepage is great, because you can funnel the homepage’s authority through to other pages in your website. If you want to be rank with other pages than your homepage in competitive niches, having links to these pages is essential. Links to pages other than the homepage are called ‘deeplinks’. The anchor text is the clickable part of the link, usually underlined and blue. Ideally, the anchor text contains keywords you want your website to rank for. We call this ‘exact match anchor text’. Don’t over do this though, having too many links with exact match anchor text may give off a signal to search engines that you’re trying to game the system and may result in a penalty. It’s important the anchor text varies and looks natural. The nofollow attribute is used to indicate that a link was paid for or that you don’t want to be associated with the websites you’re linking to. When a link has the nofollow attribute, only part of the link authority is passed to the link target. It’s normal for websites to have links with the nofollow attribute, so don’t obsess about it. Besides, links carrying the nofollow attribute aren’t worthless. 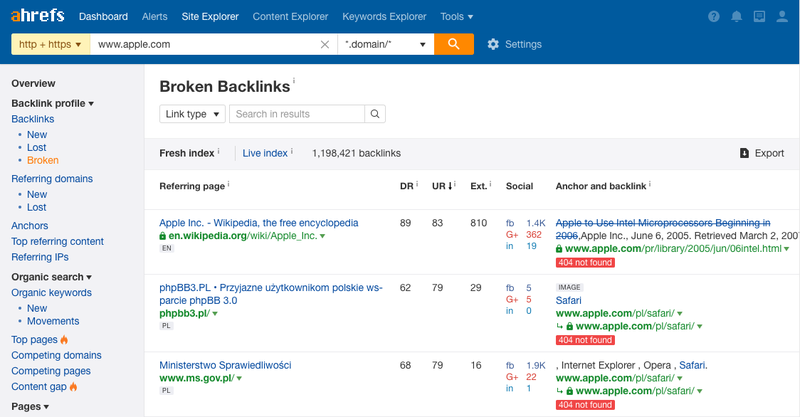 Wikipedia links are nofollowed, but they still carry relevancy, trust and some link authority. All of the links to your website together comprise the so called ‘link profile’ of your website. This is basically your website’s fingerprint when it comes to links. It’s important your link profile is ‘natural’, and doesn’t stand out in a negative way. But what’s natural and what’s not? That depends on the industry you’re in. In some industries it’s normal to have lots of links with exact match anchor text. Before stepping up your link building game it’s important to get a feel for what your competitive landscape looks like. That defines what you can and cannot do. Analyze the link profiles of your top 10 competitors to get a feel for what’s considered ‘normal’ in your industry. You’re not afraid to step outside your comfort zone and ask people to link to you. You have a solid strategy you follow. Doing link building for an eCommerce website is about putting yourself in the position to get links. Unless you’re selling highly innovative or provocative products, you’re not going to get much links to your category and product pages. You need to find a work-around to make sure the authority, relevancy and trust of your category and product pages increases. Creating a blog section on your website allows you to publish link-worthy content. Link-worthy content can be anything that’s newsworthy, informative, trending and interesting. For instance if you were to create an infographic, this is a good place to publish it. It’s important to keep in mind that creating and publishing link-worthy content is only the first step. The next step is to tell the world about it. Reach out to industry leaders and tell them about your content. You can probably write down twenty frequently asked (FAQs) questions about your niche right now. If you take a couple of hours and look for suggest searches in Google, the questions people ask on platforms such as Quora and Yahoo! Answers and play around with tools like AnswerThePublic.com you’ll be able to come up with 100+ more FAQs. Prioritize them according to search volume and start writing. Categorize the FAQs to give visitors an easy way to navigate around them. In order to be successful, you need to go all out and make the FAQs as great as possible. You can even include visuals, videos and links explaining the topic. Stick to the inverted pyramid method to make sure your answers answer the question right at the beginning. What televisions can I mount on a wall? What’s the maximum weight for a wall mount? How to install a television mount? How do you install a television wall mount on drywall? Which audio systems would you recommend for television brand X? People like getting fast, complete answers to their questions. Providing that means you’re adding value. People will be open to sharing your answers on social media and places like message boards. The links you’ve gained all carry authority. The authority is passed on to your FAQ pages, not your product category pages or product pages. Be sure to link from the FAQ pages to those pages and vice versa: those FAQ pages are adding value and help you build authority. Prioritize the dictionary terms according to search volume and start with the ones with most search volume. Include visuals, videos and links. Apply the inverted pyramid method. Link from the dictionary terms to product category pages and product pages. If you’re selling products that include a manual, put all of the manuals online. If they are on regular pages you know how to optimize them already. If they’re PDF files, keep in mind you can optimize those as well. Here’s a good article on PDF optimization. Creating a manuals section is mostly interesting if you’re selling niche products which aren’t very common. In that case, you can expect to get quite some targeted organic traffic. Be sure to link the manual pages from the category pages, product pages, and vice versa: those manual pages are adding value and helping you build authority. Back in the early days of the web directories were the way to navigate and hear about websites. Well maintained directories are still a good way to build links. Please note: avoid directories which could be perceived by search engines as untrustworthy. Dead giveaways are spammy directories, listing controversial websites. When it comes to link building, reaching out to organisations that you already have an relationship with are low hanging fruit. Start with this. Do you have any suppliers which may be open to this? Or are you sponsoring organizations? It’s only fair you get some credit. Even if it’s the local soccer club, they probably have a website which includes a sponsor page. Organisations often give credit for donations you’re making. Check what donations you’ve made, and see if they list donors with links. If they do, make sure you get a listing as well. In the software development industry it’s very common to use Open Source software. You can always decide to make a small donation to show them your gratitude, and get a link in the process. When other websites use images from your website without your permission, it’s only fair they give you credit for it with a link. The first step is to find those websites using Google’s reverse images search functionality or a tool like or infringement.report. Reach out and ask for credit by placing a link. Most website owners will be surprised to receive your message, and are often open to giving credit for the images. When you come across unlinked mentions of your brand (or your name! ), reach out to the website owner and ask them to include a link. Go through all of your brand mentions and see if you've already got a link. If not, reach out and ask for it. Broken link building involves searching for website that link to resources that aren’t available anymore and proposing them to link to an alternative resource on your website. Create an overview of these websites and create alternative resources on your own website to link to. Now reach out to the website owners: explain that you saw that the link on their website is broken and mentioned that you’ve got a good alternative to link to. Another effective tactic in link building is called ‘ego baiting’: featuring others in your content. A benefit of this tactic is that the companies and people featured in your content will often help you promote it because they’re mentioned in it. Playing it safe doesn’t get you anywhere in a highly competitive landscape. In order to stand out and overtake your competitors, being controversial can help. Brainstorm about topics that relate to your business, and that’ll trigger people in reading your content. Examples: “50 Seemingly Healthy Foods that are Bad for You” and “New Study Shows Council Spending on Cars across the UK”. A lot of eCommerce website owners struggle with link building. This limits their SEO success, because links play such as big role in whether or not you’re successful in SEO. Don’t make the mistake of thinking that link building is impossible. It’s not, you can also build links. And you can start right away, using the 12 link building tactics that we described in this article.